Good morning Team Stryker fans! Let’s kick off November with some pencils! This page was a great warm up to having to draw our villain multiple times in small chunks. It gave me a change to get a handle on several sections of him while trying to keep him in proportion. I had to take photos of myself scratching, drinking and wiping my mouth to try and give me a very natural feel. It’s never a bad idea to take photos of yourself in a mirror to make sure you get the pose and effect you’re looking for. It’s not cheating if it makes your art better! 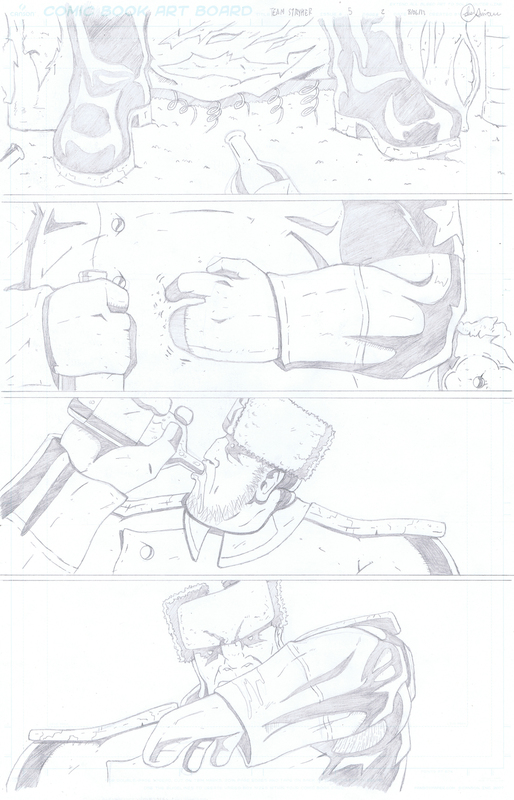 Have a great weekend and check back here on Monday for page 03 of Team Stryker!